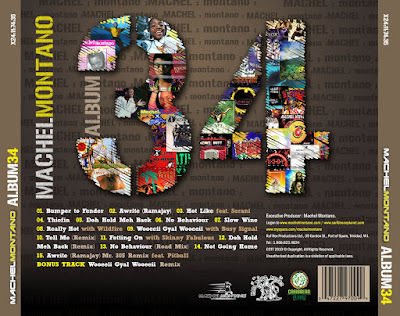 PORT OF SPAIN, TRINIDAD - Soca music fans and music lovers worldwide who want to experience the very best in Caribbean music will revel in the latest album release from the genre's most celebrated artiste, Machel Montano, titled ALBUM 34. The prodigiously gifted Trinidadian, whose debut vinyl album Too Young To Soca arrived in record shops in 1985, has once again created a magical brew of sweet soca rhythms on this, his 34th career release. 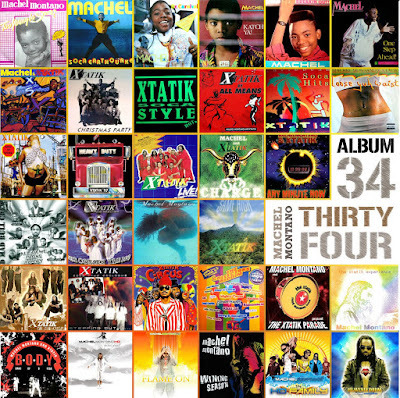 ALBUM 34 is now available throughout Trinidad & Tobago, with worldwide distribution scheduled for later this month. Machel Montano has been a driving force behind Caribbean musical integration for more than a decade, with a multitude of important collaborations to his credit, including features with Pitbull, Lil Jon, Shaggy, Wyclef Jean, Beanie Man, Busy Signal, Vybz Kartel, Alison Hinds, Ricky T, Tallpree, just to name a few. Montano's vision of Caribbean unity forged though music and culture is beautifully underscored in the delivery of ALBUM 34, as this exciting mix of new music includes collaborations with leading singers, musicians, and producers from Barbados, Grenada, Antigua, St. Vincent, Jamaica, B.V.I., Cuba, and USA. Machel is also eagerly looking forward to seeing all of his fans again next week Thursday, February 18th at the Queens Park Savannah, Port of Spain, when he will be appearing as the opening act for Beyoncé. This is the first ever appearance in the Caribbean for the world's 'Queen of Pop,' 16-time Grammy award-winning artiste, and promises to be a night of great music and amazing performances by both Machel and Beyoncé.